The book of Acts shows us the light of the gospel confronting the pagan culture of the day. This is especially clear in the courage and relentless passion of Paul and his companions as they established churches and witnessed wherever they went. 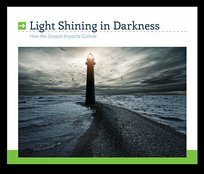 In this series of messages, Pastor Lutzer helps us grasp the strategy and message of the early church, and how we can apply this knowledge to our own culture as we shine the light of the gospel into our increasingly dark world.